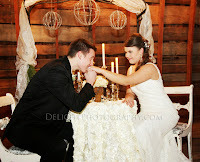 There's this little fact that most people who have never been to a wedding outside of a Hollywood movie do not know. Most romantic comedies seem to conveniently skip over it, but in this day and age, there are usually two cakes. One for the bride (the stereotypical towering white cake) and one for the groom (a large sheet or "fun" cake, often of a chocolate or nutty flavor). We've decided we're going to have two cakes that are somewhere in between; Multi-layer cakes that aren't over the top. 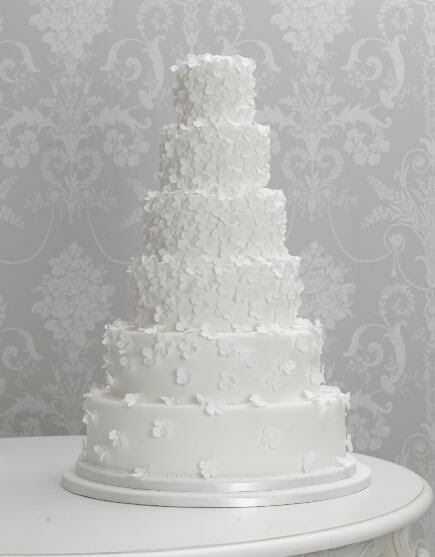 Here's another fact for you: the average American spends between $450.00 - $1200.00 on their wedding cake. For some of you out there, that could be almost your entire wedding budget! We don't know about you, but we are not prepared to spend that kind of money on a cake, particularly when it is something that most marrying couples get only a smidgen of. Luckily, or rather unluckily, for us, we both have numerous food allergies, which puts a completely different spin on the whole cake situation. The food allergies include nuts, dairy, gluten, soy, and citrus, so you can imagine that this gets complicated and expensive fast. A quick search on the internet for allergy-friendly bakeries gives you some very painful example prices, ranging from anywhere to $600.00 - $2000.00 just for gluten free alone- that's not including dairy free or any of the others. And while a more extensive search does bring up bakeries free of all the separate allergens, there was not a single bakery out there that I could find that has a gluten free, dairy free, nut free, and soy free cake (Not citrus flavored.) Not a single one. And I mean, even if there was, do we really want to risk having an allergic reaction on our special day and having to go to the hospital? At any rate, the poofy white dresses would make that so inconvenient. So this brings so to a rather interesting conclusion: we have to make the cake ourselves. Luckily we have some experience in baking otherwise, we would be totally freaking out right now (okay, so maybe we are freaking out a little bit anyways). Luckily there are plenty of resources out there for making your own cake. There are websites and articles in magazines and YouTube tutorials, there are even classes you can take. And there are plenty of tools out there to get the finer decorating details of your cake just right. In our research, we have found what we believe are some of the best and most useful baking tools. 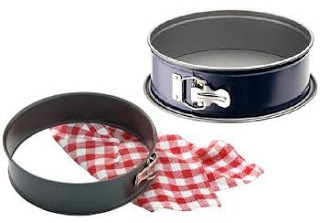 These come in multiple sizes, allowing you to achieve tiered cake status, while the Spring-Form sides come off easily, leaving your cake perfectly intact, unlike some instances we can think of where we've used your more stereotypical baking pans. Just the tips, mind you. Cutting a little hole in a plastic sandwich bag does the same thing that an expensive piping bag would, and you get to throw it away afterward (And believe us- you'll want to) and not feel bad. But Piping Tips are great. There are literally dozens of different styles, each allowing you to make some kind of fancy icing ribbon, flower, shell, or star without really knowing what the heck you're doing. These little things we've seen at places like Michael's Craft Stores, the kind of place that has a whole aisle devoted to making wedding cakes. 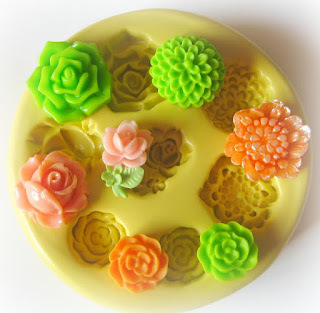 They are little silicone pans that allow you to make fancy 3D fondant flowers and vines and more by simply pouring the fondant into the mold and letting it harden. Also, invest in a good icing spreading spatula. This is maybe the most important thing you can buy. You'll thank us later. You can also have more fun with what kind of cakes you have too! No deciding on shades of buttercream. There are plenty of other ways to make your cake look fancy without having to attend Culinary school. 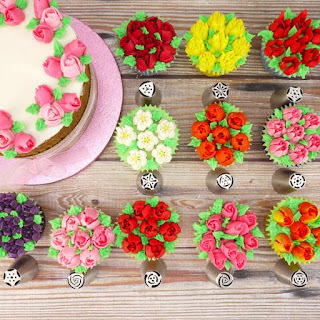 Try utilizing food dyes, fresh edible flowers, and store bought decorations to make your cake look fancy without breaking the bank (or your back). And we guarantee any money you spend on baking tools and cake supplies will not be anywhere near as expensive as buying one would be, and you can always sell them on Ebay afterward or give them to a friend. Heck, you could ask around on Facebook to see if you can borrow anything from a friend! At any rate for us, we'll have more money to spend on other things in our wedding and our lives together, and there won't be any unnecessary trips to the hospital, so no matter what kind of adventures happen on the cake-making front, it'll be a win/win for The Two Brooms. Save on any wedding supplies or goods you purchase online (and in store at select retailers)!